Separately, Cate Le Bon and Tim Presley make some of the strangest and most likable psychedelic pop music going. The former’s fizzy, fidgety songs are rhythmically restless and hyper-melodic, and they seem to be getting weirder as she moves through her career. And Presley is one of the 21st century’s most mutable musical chameleons. He came up in a punk band (The Nerve Agents) and piloted an incredible shoegaze group (Darker My Love) before going solo to make warped garage rock under the name White Fence. Three years ago, the two of them released an album together that wasn’t life-changing, but it successfully channeled their similarly strange perspectives. They called the project DRINKS and the album Hermits on Holiday, and while it had a few ragged moments, they were outweighed by songs that merged his noisy noodling and her prickly pop and generally hung together enough to gain some momentum. The opposite is true, however, on the new DRINKS album Hippo Lite. This time, there are a couple of solid songs surrounded on all sides by wandering experiments which never quite form into a whole. Let’s start with the good. The juxtaposition of clockwork groove and fluttery melody makes “Real Outside” enjoyable. And the post-punky “Corner Shops” pairs a perky piano performance with Le Bon’s airy vocal — probably her most effortful singing on the album. The bass line bends and curls, a needle-nosed electric guitar sticks to just a few notes and Presley sings as well. It is no coincidence that the song with the fullest and most considered arrangement is also Hippo Lite’s peak. From there, though, the album is a half-baked trip. “Blue From The Dark” feels more like a tentative studio jam than a completed piece. “In The Night Kitchen” sounds like a 15-second song intro stretched out to three minutes with nowhere to go. And the cluttered, skronky “Ducks” is the kind of track that belongs on the expanded 20th anniversary reissue, not the real album. It’s a b-side, an outtake, a curious artifact from the recording session…nope, it made the cut. 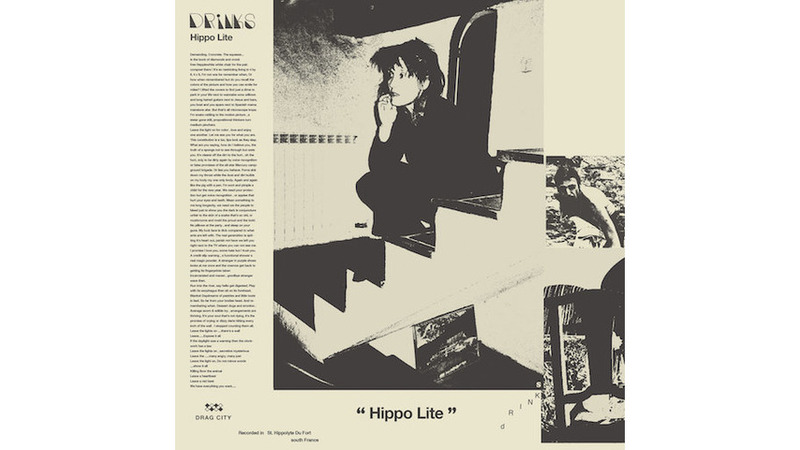 To be fair, all of the album’s final three tracks have their charms, but they suffer from sequencing; fatigue has set in by the time you get to the jittery eccentricity of “Leave the Lights On” or the muted groove of “Pink or Die.” Appreciating these songs may take time, attention and acceptance, but if Hippo Lite has already depleted your supply of these qualities, that’s understandable.